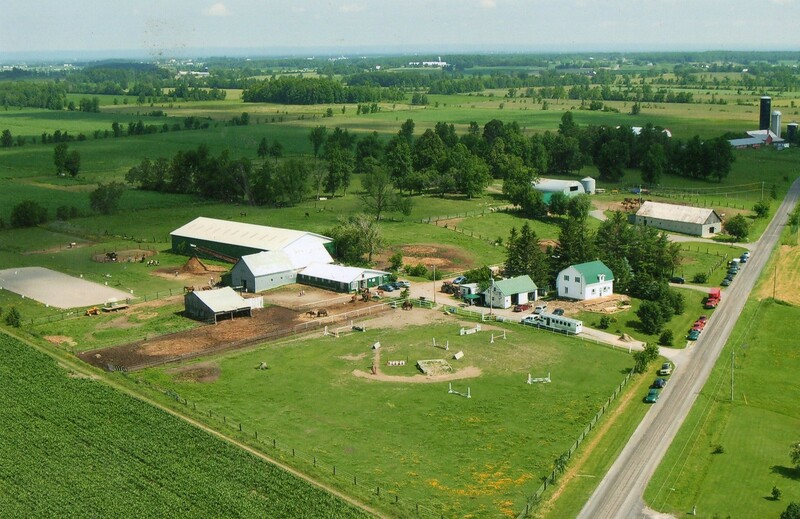 We are located in beautiful Glen Robertson Ontario (halfway between Ottawa and Montreal); we offer many services to the riding enthusiast. 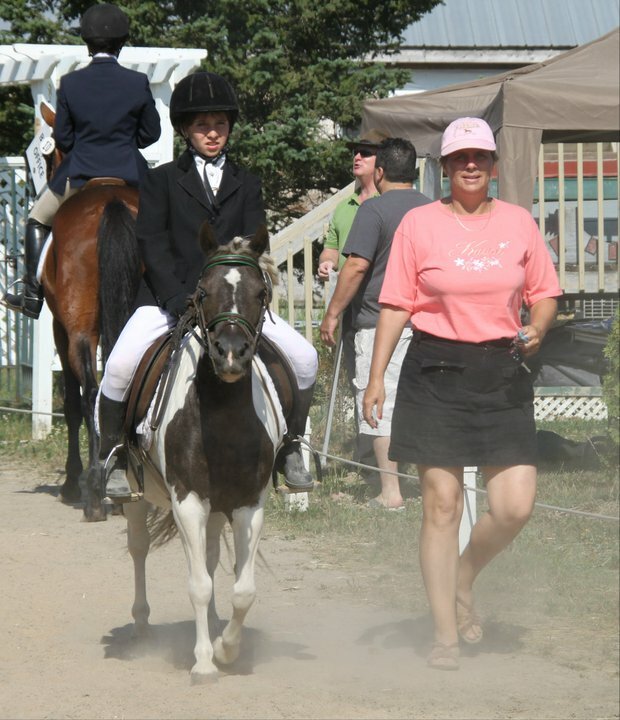 As an Equine Canada Certified Coach and co-owner I have dedicated many years of hard work to create a fun and safe atmosphere at FGS. FGS is home to over 60 horses; some are here for training, some are boarded horses, and we have a few of our own as well! 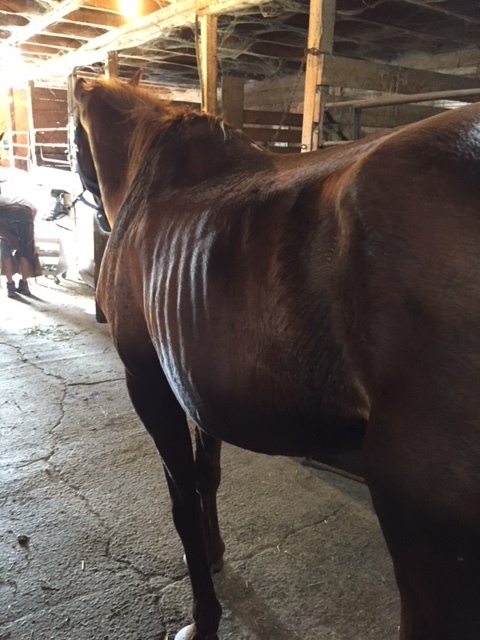 Our farm has 1 stallion standing at stud, several broodmares and young horses. 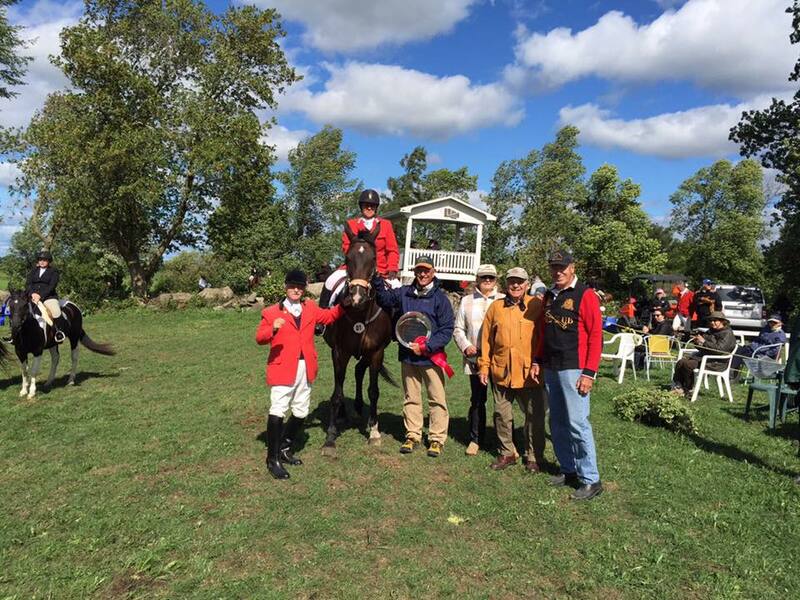 I encourage our students, and riders of all ages, to concentrate on fun as well as winning. Our riding school provides seasoned, well trained school horses for beginning riders, as well as challenging mounts for more experienced riders. 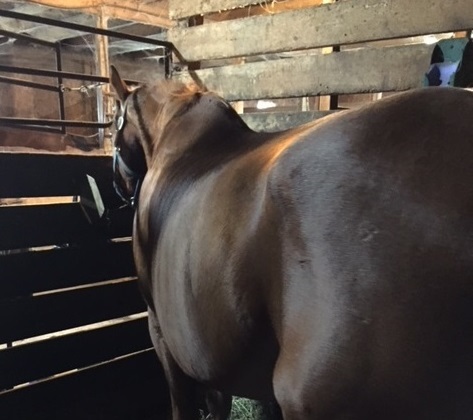 Whether you need a horse broken, riding lessons (dressage and hunting), boarding, or any other of the many services offered at our facility, you will find our experienced coaches, and staff more than willing to help you. My husband "Francois" and I are the owners of Forever Green Stables. I have been riding from the age of three (3); horses and riding have been an integral part of my life. At age ten (10) I won Gold at the Junior Olympics in Kingston Ontario, riding a pony named Valliant. 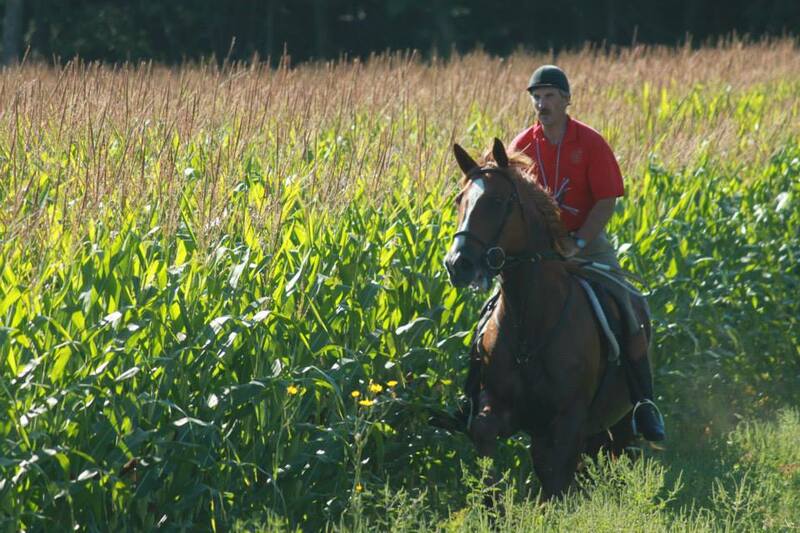 I am an Equine Canada Level One Certified Coach, and have successfully competed at the Preliminary level in eventing. 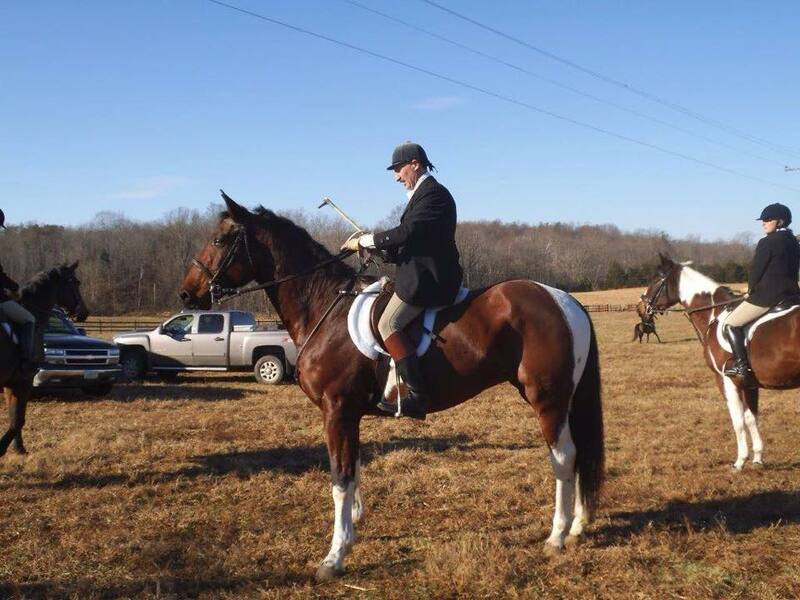 A long-time field hunter, I have received my hunting colors in 1993 from Master George Jacobsen. I am studying the Parelli training method, and have completed my Level One Parelli. In August 7, 2007 I had a schooling accident preparing for a show and flipped over a fence. I was unaware that I had broken my neck (breaking 2 vertebrae) . My injury was almost identical to that of Christopher Reeves. I went on to show the following days as well as coached 14 students. I went on to placing 3rd position on the same horse I had the accident with. 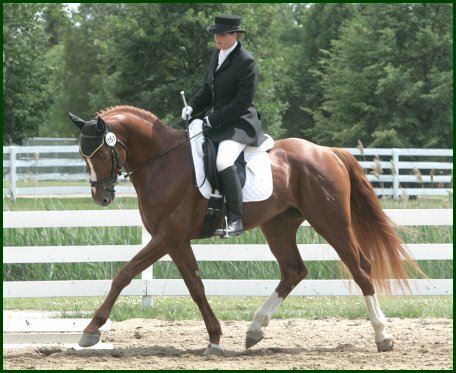 I have started many young horses in a wide variety of disciplines with eventing and dressage being my specialties. Some of which have become well known in the eventing world. Two were purchased by both American and Canadian Olympians. 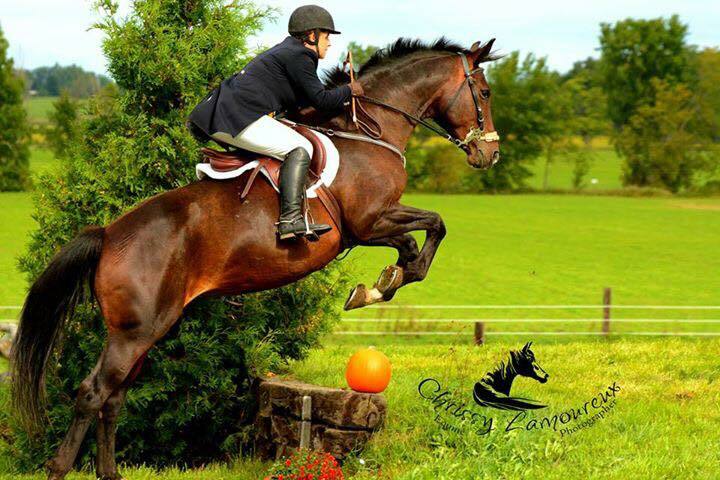 These include Sail On Simcoe, who was purchased by American Olympian David O'Connor; Sail On Madawaska, who has represented Canada in international events; and Kaesar, who was purchased by Team Canada rider Anita Nemtin-Gilmour who competed as an individual in the Atlanta Olympics. Francois has been riding for approximately 20 years. Christine encouraged him to take over the Huntsman position in 2004/2005 when Alfie Smith retired from the Lake of Two Mountains Hunt Club. He loves this job. He's a full time farmer and huntsman. 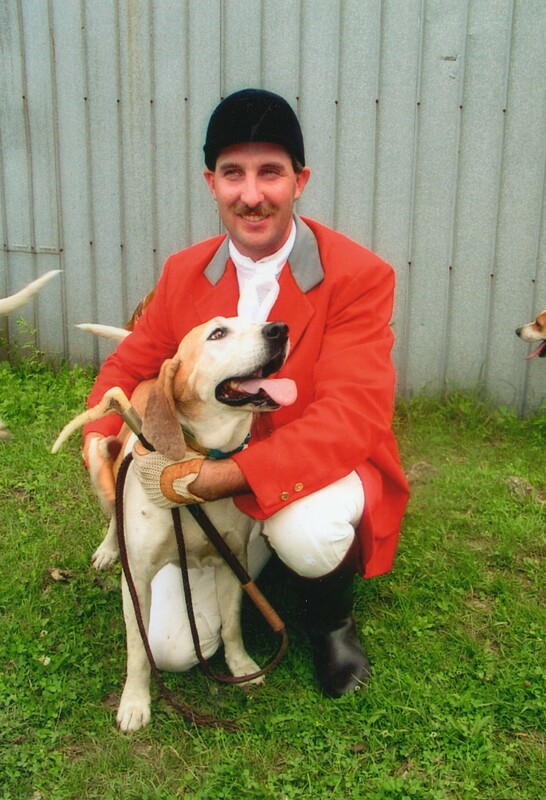 He does all the farming, hay making and barn up keeping also takes care of approximately 35 fox hounds. He take care of the hounds, their breeding and training. Example of Ocean Equine at work! for their continuous support of our hounds. Our hounds have never looked this good. We have hounds from the ages of new born to approximately 8-9 years of age. Working hounds don't usually work late in life, but we feel that because the Hagen product is so good we are able to keep our hounds for longer. Francois and his 1st favorite hound "Josephine"